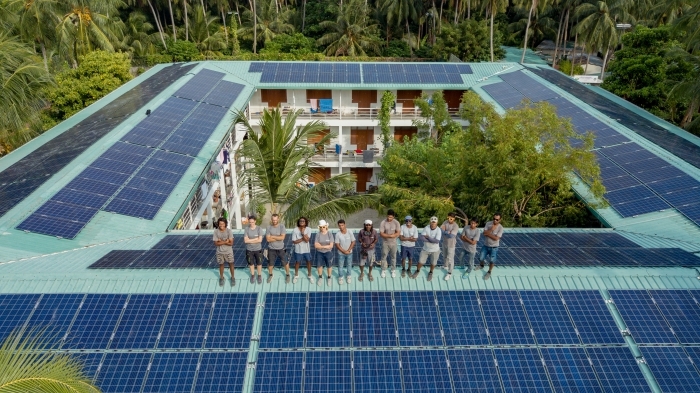 Dusit Thani Maldives has installed rooftop solar panels on its main buildings to reduce its carbon footprint and create clean, renewable energy. 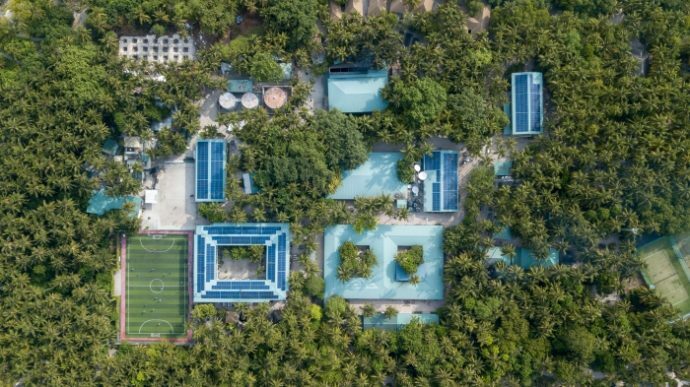 “Sustainability is a way of life here at Dusit Thani Maldives, and we are constantly looking for ways to reduce our carbon footprint and limit our impact on the environment,” Johann Reinhold, General Manager at Dusit Thani Maldives was quoted in a statement, as saying. 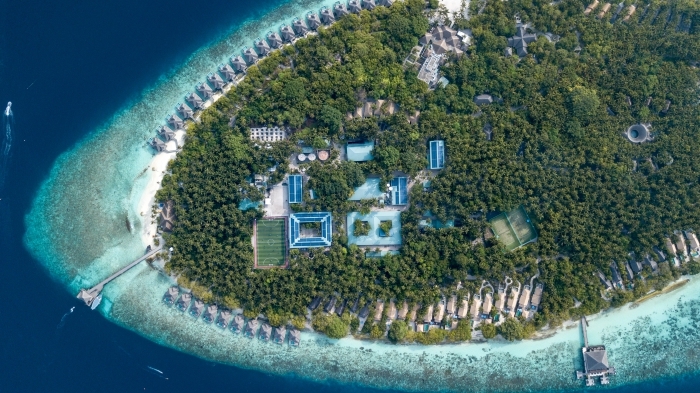 “We are delighted to help Dusit Thani Maldives in its mission to lower its carbon footprint. Our systems are built with only the finest materials, and our heavy-duty, high-performance panels undergo stringent tests to ensure they are suitable for tropical marine environments. With a lifetime of around 30 years, the panels can help save significant amounts of energy, having a positive impact on the planet in the process,” Sandra Kriechhammer, Technical Sales and Project Manager at Swimsol Maldives, said.